David P. Lind Benchmark is an independent, for-profit, and non-partisan organization that focuses on scientifically-based research to provide credible, reliable, and objective information to assist decision makers – for both private and public employers and policy makers. Our mission is to contribute, to encourage, and to enhance the development and understanding of employee benefits and health care programs, in addition to promoting sound public policy through objective research and education to inform decision making in Iowa and elsewhere. David P. Lind Benchmark functions in an objective and unbiased manner – we are not an advocate or opponent of any position. Since 1999, David P. Lind has conducted annual research with thousands of Iowa organizations focusing on employee benefit trends. The Iowa Employer Benefits Study© is a comprehensive statistical review of Iowa employee benefits that is a key resource for employers and policy makers in Iowa. Survey results provide Iowa employers with reliable, relevant, and customized information that you can’t find anywhere else in Iowa. Prior to forming DPL Benchmark, David created David P. Lind & Associates*, an employee benefits consulting firm, in 1995. In 2011, David sold his benefits consulting practice to concentrate on employee benefits and healthcare research in an effort to improve the efficiency of healthcare delivery in Iowa. 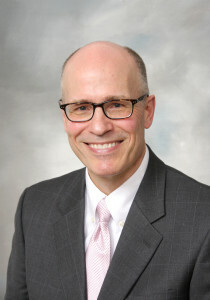 In 2012, David established Heartland Health Research Institute (HHRI) a knowledge-based organization that conducts research on a broad spectrum of healthcare issues and provides unique solutions to both employers and the healthcare community. Topics specifically focus on employer and patient perspectives and measure expectations, satisfaction and trust in the healthcare system. David received a B.S. degree in Business Administration from Northeast Missouri State University and earned his MBA from Drake University. In addition, he has the Certified Employee Benefit Specialist (CEBS) designation from the Wharton School of the University of Pennsylvania. David has spent over 30 years in the employee benefits and healthcare arena. David is a proud member of 100+ Men on a Mission.